Republican Rick Ladd proposes an amendment to strip education funding package of new capital gains tax. 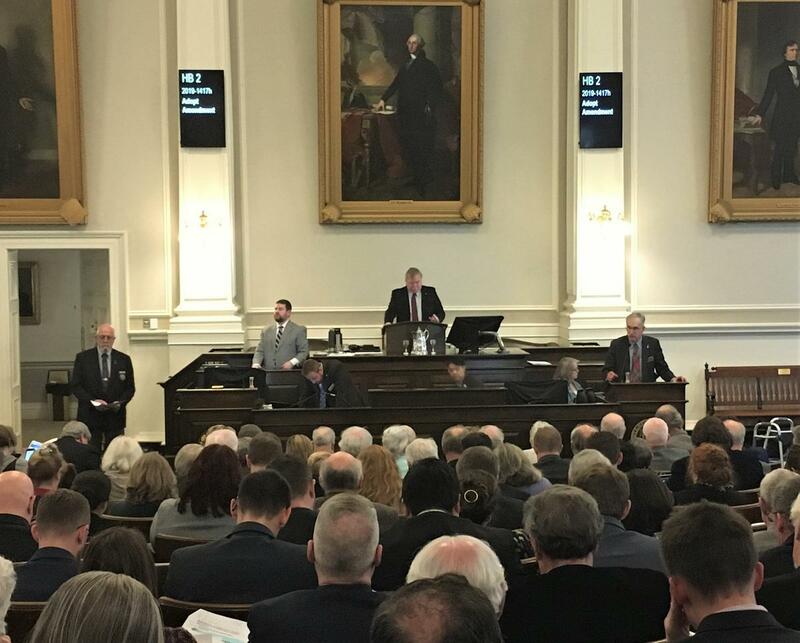 The New Hampshire House approved a $12.9 billion state budget today. The budget passed by the Democratic majority does not include many of Gov. Chris Sununu's proposals. Listen to All Things Considered host Peter Biello talk with NHPR's Josh Rogers about the N.H. budget debate. Those spending priorities included a $26 million plan to build a secure psychiatric unit for mentally ill patients. Instead, Democrats propose $1.2 million for a preliminary design of the unit. The one bipartisan amendment passed Thursday restores the governor's request of $500,000 to the Internet Crimes Against Children Task Force. The House's spending bill includes a major boost in state aid for public schools: an additional $160 million over two years, the largest increase in decades. Democrats say they can fund this with a new tax on capital gains. 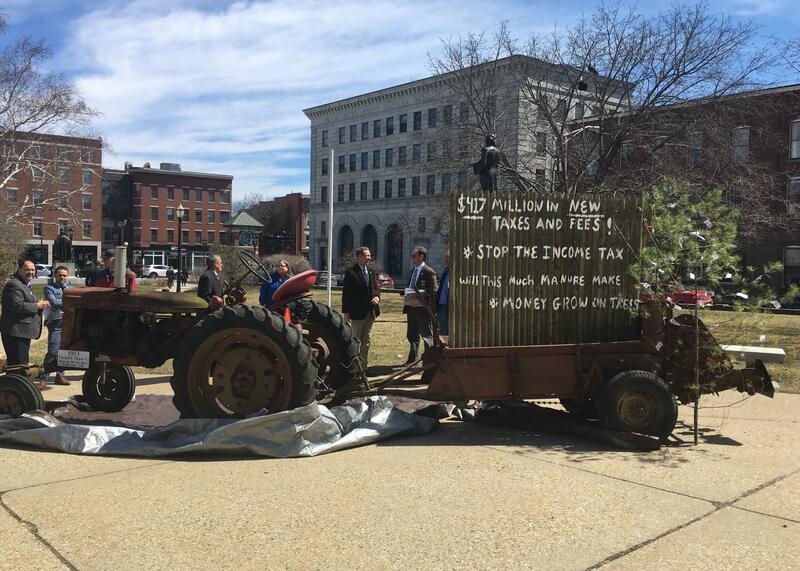 Republican Representative John Burt of Goffstown brought an antique tractor with signs warning against new taxes in the House budget. Republican Rep. Kenneth Weyler of Kingston criticized the new tax and the budget. "If we're already in an ideal situation and the economy's doing well, why do we need to spend more money?" he asked. "They've asked us for property tax relief, education funding, and adequate support for critical services, like mental health and child protection. The House budget addresses every one of these priorities," she said. The budget bill now goes to the New Hampshire Senate for review and a vote. Governor Chris Sununu presented his proposed state budget today in a speech to lawmakers that kicks off a months-long process of debate and negotiation over some $13 billion worth of spending over two years. The New Hampshire Senate has voted 17 to 6 to pass a bill to repeal the death penalty. The vote Thursday follows the House voting 279 to 88 -- also reaching a veto-proof majority -- in support of abolishing capital murder.